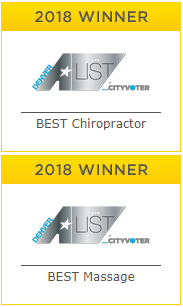 Looking to find that perfect service to help unwind your computer postural muscles? You found it! We have added a private yoga room to our wellness center. This new service combines yoga and massage into one service. This service is completely customized to your personal needs, but often focuses on stretching muscles that have become tight and strengthening muscles that have become weak from sitting at the computer too much. This service is open to all levels of yoga practitioners. Yogassage combines yoga poses and massage to maximize healing potential. The therapist customizes a personal yoga session, followed by a massage, based on individual areas of injury, tension and pain. Yoga is used to help determine areas of tension and limited range of motion. It is used to lengthen tight muscles and strengthen weak muscles. During the yoga session the therapist guides the client through a series of yoga poses and breathing techniques to induce relaxation and deep stretching. Specific muscle groups are targeting based on areas of concern like low back pain, or shoulder and neck pain. The yoga session is customized to each client’s skill level and flexibility. Beginners are welcome and encouraged. The massage that follows the yoga session enhances the effects of deep stretching. During yoga the therapist discovers areas of tension, and weak and tight muscle groups. Yoga poses help stretch and strengthen those muscles. The massage targets trigger points or “knots” in weak muscles as well as areas of tension. Using a variety of techniques – Swedish massage, Deep Tissue massage, Trigger Point therapy, Neuromuscular therapy, Hot Stone therapy, Thai massage, etc. – the therapist will help to work out lingering tension, aches and pains. Yoga pose modifications are required for someone with health conditions such as disk herniation, osteoporosis, recent surgery, or cardiovascular disease. Please notify your yogassage therapist of any conditions. Check with your doctor before engaging in a yogassage session.